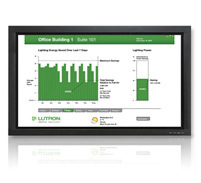 Lutron whole building solutions like Quantum and GRAFIK 7000 allow facility managers to conveniently manage both electric light and daylight right from their desktop. 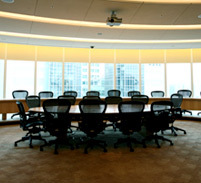 Control, configure, monitor, and report on the lighting for any space in your building to achieve maximum energy efficiency, comfort, and productivity. Many Lutron solutions incorporate an integral timeclock feature that enables the scheduling of lights and shades. Both time-of-day (e.g., 8:00 pm weeknights) and astronomic time clocks (e.g., dusk or dawn) can enhance energy savings and the safety and security of employees. 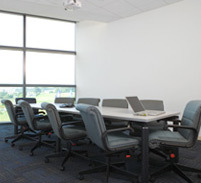 Whether it’s creating a safe pathway of light for employees exiting a building or automatically lowering shades during peak daylight periods, Lutron scheduling solutions are a smart decision for any building owner. Improve maintenance and simplify operations by monitoring energy consumption and identifying problems before they become an issue. The reporting and trending feature allows users to monitor system activity, lighting energy usage, fluorescent lamp failures, and more to maximize potential savings. 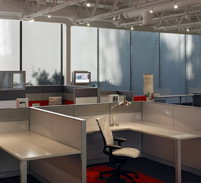 Whether you want to harvest the energy-saving benefits of daylight sensing or reduce heat gain and glare with automated shades, Lutron provides many flexible solutions to maximize the efficient control of daylight. Lighting generates heat, and cooling systems must compensate for this heat gain. By dimming the lights you can reduce the load on the cooling systems and realize both lighting and HVAC energy savings. Lutron’s Hyperion Solar Adaptive Shading solution can automatically adjust window shades based on the sun’s position throughout the day, leading to 10-30% reduction in solar heat gain.